Double seal silicone cushion are made of soft medical-grade silicone material. and thin wall design for better seal and patient's comfort. 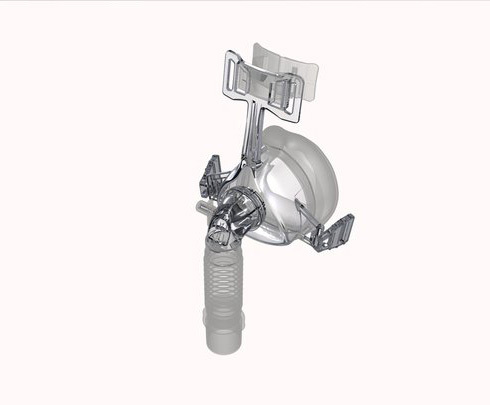 Double-swivel elbow increases the flexibility and comfort for patient during sleep. Air diverter ensures lower noise level and diverts exhaled air to avoid bothering another person. Built in 4.3M pressure sensing port. 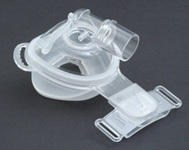 Standard 22M connection to CPAP devices. 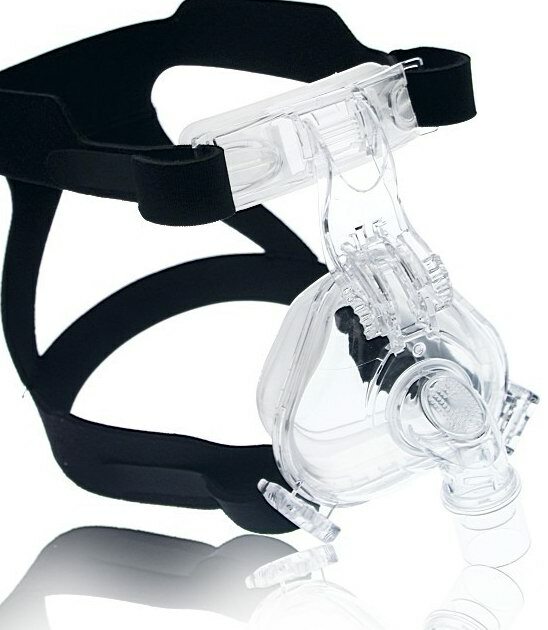 Newly modified design with a soft silicone forehead support provides better patient comfort and stability during use. Three sizes available: Large, Medium & Small. - All material conform to ISO-10993 for biocompatibility requirments.